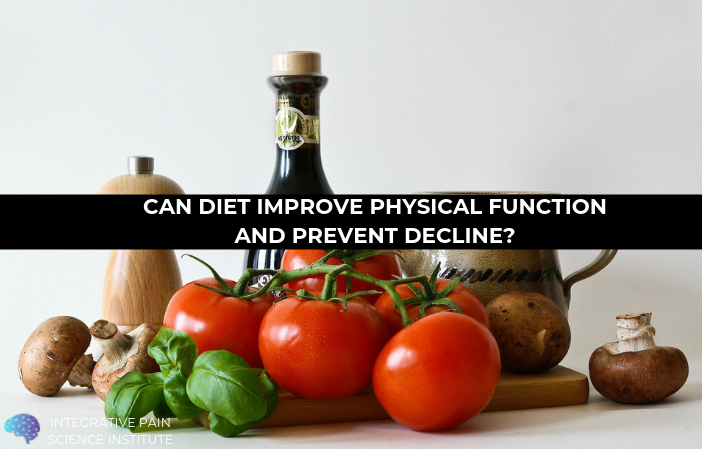 Can Diet Improve Physical Function and Prevent its Decline? 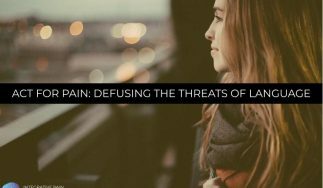 The prevalence and incidence of chronic pain and musculoskeletal-functional decline is well documented. Thus, comprehensive pain care requires a multimodal approach. Utilizing physical activity and nutrition is important in pain care, and both are core health promotion competencies. 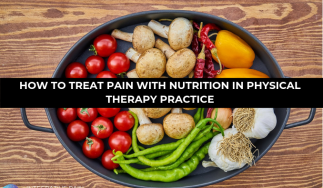 The role of the physical therapist to screen patients for and provide information on dietary and nutritional issues is within the scope of physical therapy practice. Nutrition can directly affect, recovery and function while an individual is under a physical therapist’s care. Nutrition is also an evidence-based intervention that is useful in addressing the global burden of non-communicable disease, including persistent pain and musculoskeletal-functional decline. Can Food Prevent Functional Decline? Well-researched dietary patterns, such as the Mediterranean diet, can be protective and preventative against functional decline. The Mediterranean diet is a healthy eating pattern comprised of various food and nutrients that have a potential protective effect against chronic non-communicable diseases. The diet is characterized by a high intake of nuts, whole grains, vegetables, fruits, fish, poultry a moderate intake of alcohol, dairy products, and olive oil; and a low intake of red meat. 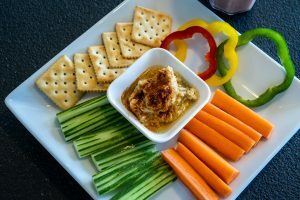 Researchers have related high adherence to a Mediterranean diet to lower risk of physical function impairments. Several studies suggest that eating a Mediterranean diet can help maintain normal weight (2), decrease all-cause mortality risk (3), and lower the risk for cardiovascular disease (4), cancer (5), musculoskeletal-functional disorders (6), and cognitive diseases (7). A study that followed over 10,000 women in their 50s and 60s found that those who followed a Mediterranean-style diet were 40% more likely to live to 70 years old without chronic illness, including physical and psychological disabilities, than those with less healthy diets (8). Behind these benefits are the anti-inflammatory and antioxidant effects of micronutrients, unsaturated fatty acids, complex carbs, high-quality proteins, and the manageable supply of glucose, which is good for insulin sensitivity and glycemic control. Can other, age-specific risk factors be prevented by following a Mediterranean diet? A recent report in The Journal of Nutrition, Health & Aging reviewed the evidence that adherence to a Mediterranean diet decreased the risk of frailty, functional disability, and sarcopenia in elderly people (9). Frailty is defined as a state of vulnerability due to age-related physiological deficits that may lead to functional impairment, adverse health conditions, and disease. It is associated with greater risk for falls and fractures, hospitalization, nursing home placement, disability, dementia, and premature death, and is linked to poor quality of life (10). Functional disability is the presence of difficulty or dependency in carrying out essential activities of daily living, and is often associated with frailty (11). Sarcopenia is the medical term for the loss of muscle mass that occurs during aging. Anytime a person’s muscle mass is lower, by at least 2 standard deviations, than the lean mass of gender-matched, healthy young adults, this person likely has sarcopenia. Sarcopenia is often associated with, but different from, dynapenia (muscle weakness in the elderly). Muscle mass decreases at a rate of 3-8% each decade after the age of 30, and the decline is often higher after the age of 60 (12). Sarcopenia usually precedes frailty and functional disability, affecting 1 in 10 adults older than 60 worldwide, most prevalent among non-Asians (13, 14). Interestingly, neither common comorbidities (heart disease, diabetes, arthritis, etc) or medications (thyroid hormones, corticosteroids, etc.) appear to increase the risk for sarcopenia (15). 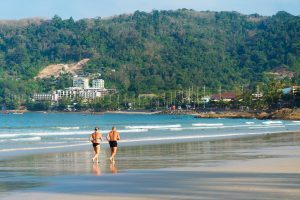 Physical inactivity and poor nutrition, in contrast, were both shown to increase its risk (16, 17). Twelve studies passed the selection criteria of the review paper mentioned above: they included a total of 20,518 adults (aged 60 and older) that lived independently, had no HIV or neurodegenerative diseases, were not already affected by frailty, functional disability, or sarcopenia, and had a standard caloric consumption (between 500-4,000 kcal/day). Among the 12 studies evaluated, 5 assessed frailty, 5 functional disability, and 2 sarcopenia. The overall analysis showed that the odds of frailty was 60% lower in people that followed a Mediterranean diet than in those who did not. For functional disability, the odds were reduced by 25%. Due to the low number of studies examining sarcopenia, a meta-analysis could not be performed. Some of these conclusions are in line with those of another recent meta-analysis, that concluded that the risk for frailty was reduced by 40% in older people that eat a Mediterranean diet (18). While getting older is not a choice, exciting research shows that lifestyle changes in diet, exercise, and stress reduction, can slow the aging process. 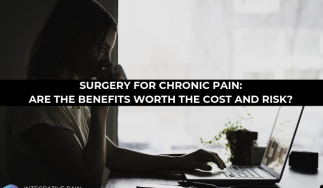 As is made evident in my blogs and interviews featuring exercise and nutrition experts, physical therapists are in a key position to enforce these impactful changes, improving the health of their communities, one patient at a time. Nutrition is included in the physical therapist’s scope of practice. A modified Mediterranean diet, as well as other types of anti-inflammatory diets, have a sure seat at the PT’s table when the objective is treating pain. Check out the Institute’s courses and certifications. And if you are interested in nutrition, check out the Functional Nutrition for Chronic Pain Certification. 1- Childs, B. G., Durik, M., Baker, D. J., & Van Deursen, J. M. (2015). Cellular senescence in aging and age-related disease: from mechanisms to therapy. Nature medicine, 21(12), 1424. 2- Agnoli, C., Sieri, S., Ricceri, F., Giraudo, M. T., Masala, G., Assedi, M., … & Krogh, V. (2018). Adherence to a Mediterranean diet and long-term changes in weight and waist circumference in the EPIC-Italy cohort. Nutrition & diabetes, 8(1), 22. 3- Limongi, F., Noale, M., Gesmundo, A., Crepaldi, G., Maggi, S., & ILSA Working Group. (2017). Adherence to the Mediterranean diet and all-cause mortality risk in an elderly Italian population: data from the ILSA study. The journal of nutrition, health & aging, 21(5), 505-513. 4- Estruch, R., Ros, E., Salas-Salvadó, J., Covas, M. I., Corella, D., Arós, F., … & Lamuela-Raventos, R. M. (2013). Primary prevention of cardiovascular disease with a Mediterranean diet. New England Journal of Medicine, 368(14), 1279-1290. 5- Whalen, K. A., McCullough, M. L., Flanders, W. D., Hartman, T. J., Judd, S., & Bostick, R. M. (2016). Paleolithic and Mediterranean Diet Pattern Scores Are Inversely Associated with Biomarkers of Inflammation and Oxidative Balance in Adults. The Journal of nutrition, 146(6), 1217-1226. 6- Yannakoulia, M., Ntanasi, E., Anastasiou, C. A., & Scarmeas, N. (2017). Frailty and nutrition: From epidemiological and clinical evidence to potential mechanisms. Metabolism, 68, 64-76. 7- Wu, L., & Sun, D. (2017). Adherence to Mediterranean diet and risk of developing cognitive disorders: An updated systematic review and meta-analysis of prospective cohort studies. Scientific reports, 7, 41317. 8- Samieri, C., Sun, Q., Townsend, M. K., Chiuve, S. E., Okereke, O. I., Willett, W. C., … & Grodstein, F. (2013). The association between dietary patterns at midlife and health in aging: an observational study. Annals of internal medicine, 159(9), 584-591. 9- Silva, R., Pizato, N., Da Mata, F., Figueiredo, A., Ito, M., & Pereira, M. G. (2017). Mediterranean diet and musculoskeletal-functional outcomes in community-dwelling older people: A systematic review and meta-analysis. The journal of nutrition, health & aging, 1-9. 10- Clegg, A., Young, J., Iliffe, S., Rikkert, M. O., & Rockwood, K. (2013). Frailty in elderly people. The lancet, 381(9868), 752-762. 11- Fried, L. P., Ferrucci, L., Darer, J., Williamson, J. D., & Anderson, G. (2004). Untangling the concepts of disability, frailty, and comorbidity: implications for improved targeting and care. The Journals of Gerontology Series A: Biological Sciences and Medical Sciences, 59(3), M255-M263. 12- Thomas, D. R. (2007). Loss of skeletal muscle mass in aging: examining the relationship of starvation, sarcopenia and cachexia. Clinical nutrition, 26(4), 389-399. 13- Shafiee, G., Keshtkar, A., Soltani, A., Ahadi, Z., Larijani, B., & Heshmat, R. (2017). Prevalence of sarcopenia in the world: a systematic review and meta-analysis of general population studies. Journal of Diabetes & Metabolic Disorders, 16(1), 21. 14- Clark, B. C., & Manini, T. M. (2010). Functional consequences of sarcopenia and dynapenia in the elderly. Current opinion in clinical nutrition and metabolic care, 13(3), 271. 15- Castillo, E. M., Goodman-Gruen, D., Kritz-Silverstein, D., Morton, D. J., Wingard, D. L., & Barrett-Connor, E. (2003). Sarcopenia in elderly men and women: the Rancho Bernardo study. American journal of preventive medicine, 25(3), 226-231. 16- Lee, S. Y., Tung, H. H., Liu, C. Y., & Chen, L. K. (2018). Physical Activity and Sarcopenia in the Geriatric Population: A Systematic Review. Journal of the American Medical Directors Association, 19(5), 378-383. 17- Bloom, I., Shand, C., Cooper, C., Robinson, S., & Baird, J. (2018). Diet quality and sarcopenia in older adults: a systematic review. Nutrients, 10(3), 308. 18- Kojima, G., Avgerinou, C., Iliffe, S., & Walters, K. (2018). Adherence to Mediterranean Diet Reduces Incident Frailty Risk: Systematic Review and Meta‐Analysis. Journal of the American Geriatrics Society, 66(4), 783-788.